My family and I have visited Madison on two occasions. Each time we found it relaxing and unassuming. The people are friendly, while the history abounds from nearly every doorstep. If you’ve been there, write and let me know your favorite place to see. This article was one I wrote as a travel feature for the Fort Wayne News-Sentinel newspaper. When it was built on the banks of the Ohio River in 1844, the Lanier mansion in Madison, Indiana, was designed to be one of the finest homes in the area. Built for prosperous lawyer, banker and railroad financier James Franklin Doughty Lanier, the Greek Revival home in Madison features a cupola, double parlors and a spiral staircase. The back side, with four columns, supports a two-story porch that looks out on the river, formal gardens, a south pasture and stone fence. The appearance is so elegant weddings are a frequent occurrence in the home’s back pasture. Today, the Lanier Mansion is a National Historic Landmark, one of two structures in Madison with this distinction, in this town that brags of having 133 blocks on the National Historic Register of Historic Places. The bragging is justified, as Madison comprises part of the largest historic district in the state of Indiana. While visiting the area, you’ll see structures that belong to the Federal, Greek Revival, Italianate, Second Empire, Gothic Revival and Arts and Crafts styles. Guided tours are offered April through October by the Indiana Department of Natural Resources, which owns the property. Hint: Arrive early, as only a limited number of people are allowed on each tour. Madison’s history precedes James Lanier. 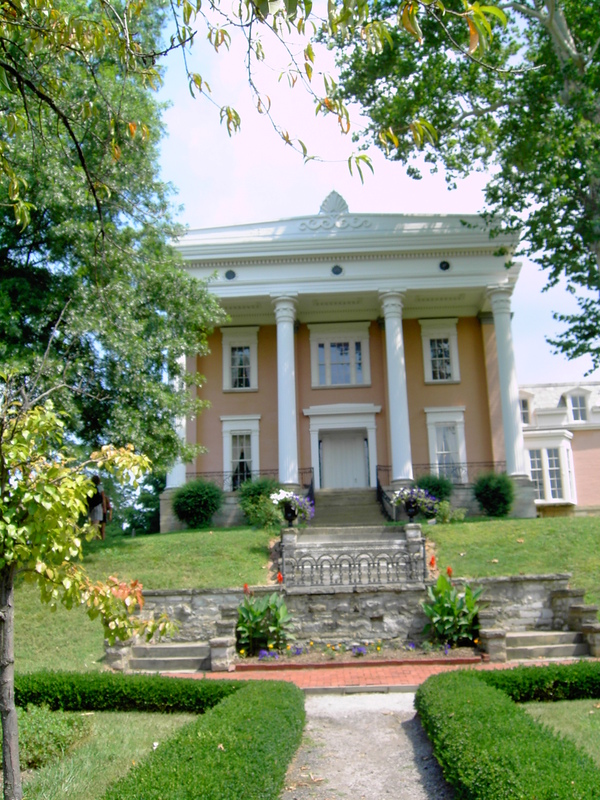 The town was settled in 1809 and flourished during the early part of the century when the Ohio River brought trade and visitors to the southern part of the state. Citizens of Madison became certain their beloved city would become the next state capital and began preparations for increased traffic by widening city streets to boulevard size. However, those plans were thwarted when the railroad expanded north of Madison, and Indianapolis was chosen to succeed Corydon as the capital. The railroad also diverted traffic from the river so fewer people and less commerce traveled by boat. By the 1850’s, Madison had become a sleepy little river town, nestled among the southern Indiana hills. Then, in 1960, a group of citizens in the area started restoration efforts by creating the nonprofit group Historic Madison. Their efforts to buy and restore 19th and 20th century buildings in town were so successful that, in 1976, the town was chosen to participate in the National Trust for Historic Preservation’s Main Street Pilot Project. The designation is fitting, as upon entering Madison, you are immediately struck by its cozy feel. The shops are small and fetching, stuffed with friendly folk who, if they can’t please you with something, will recommend another shop down the street. Even when it’s busy, the town of 13,000 looks relaxed. On a recent holiday weekend, our family had no problem walking around or parking, despite Old Court Days taking place on the courthouse steps and a car show demonstration by the river. Each day, we parked free of charge on side streets within easy walking distance of the downtown shopping area. If we had trouble parking, we could have hopped on the Madison Trolley. From May through October, the trolley departs from the Visitors Center. Trolley stops allow easy access to scenic Madison’s historic district and downtown shopping village, and the riverfront walkway. Guests are treated to a guided tour, and all-day passes are $7. Call for tour times. 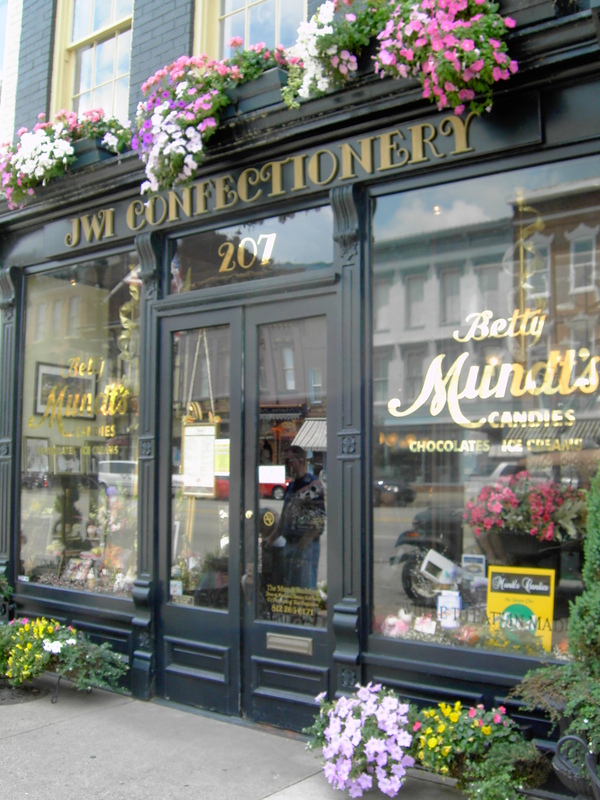 With or without the trolley, be sure to stop at the Mundt’s Candy Store. 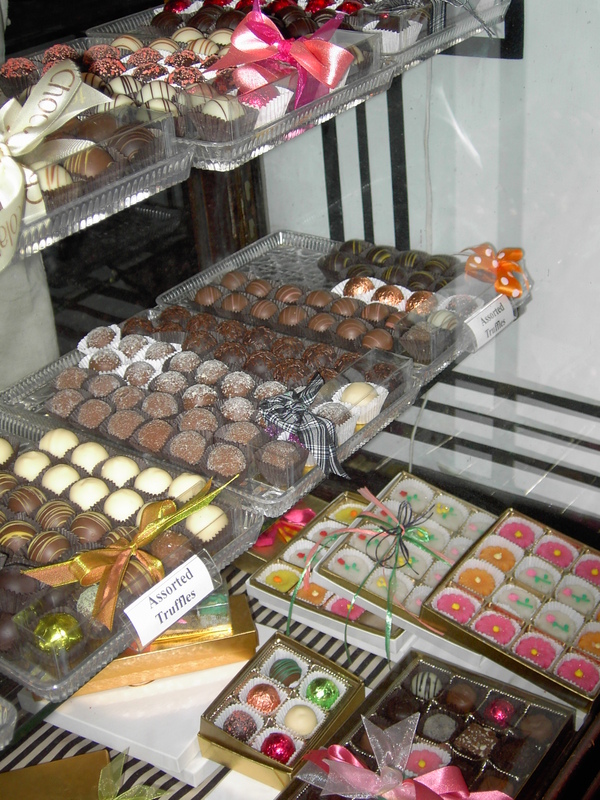 Almost any type of confection imaginable can be found within this remarkable shop, including ice cream to refresh on a hot day. The Jeremiah Sullivan House is one of the best existing examples of 19th-century Federal style architecture in the Northwest Territory. The home, built by Judge Jeremiah Sullivan in 1818, features a second floor school room and basement kitchen with brick floor. If you’ve worked up an appetite, walk a few blocks west to the Broadway Hotel & Tavern, Indiana’s oldest hotel, restaurant and tavern, established in 1834. Check out the reception desk, which is original to the building. A few blocks away Broadway Fountain, originally cast in iron for exhibition at the Centennial Exposition in Philadelphia in 1876, was recast in bronze as a community Bicentennial project in 1976. For dinner head to Key West Shrimp House, an old button factory at the east end of Madison, just north of the Ohio River. From a table by a window one can enjoy a view of the river and the Madison-Milton Bridge.. The restaurant opens at 5 p.m. Tuesday through Saturday. For more information about Madison go to www.historicmadisoninc.com or www.visitmadison.org.